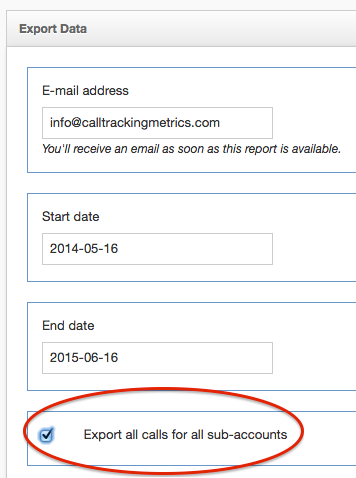 After many requests from our Agency and Franchise clients CallTrackingMetrics is happy to announce a new export feature. Clients on the Agency and Enterprise plans can now export calls from the call log across all of their sub-accounts. This will export a spreadsheet of calls across the agency and then you can sort your spreadsheet by sub-account.